Liem Swie King (Chinese: 林水镜; born 28 February 1956 in Kudus) is a former Indonesian badminton player who excelled from the late 1970s through the mid 1980s. He won 1978, 1979 and 1981 All England. He played in Thomas Cup for five times. In 2002 he received IBF highest award. Along with Morten Frost (Denmark), Han Jian and Luan Jin (China), and Prakash Padukone (India), he was one of the world's leading singles players of that era. A world level player in men's doubles as well as men's singles, he was known for the ferocity of his jumping smash. 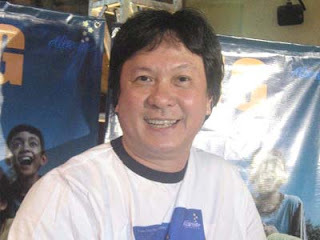 Liem was born on 28 February 1956 in Kudus, Central Java. His parents were Ng Thian Poo and Oei See Moi from Fujian. He was the only son of 8 children. During elementary school, he studied at Sekolah Tionghoa, and later moved to SD Negeri Dema'an II in 1965. In 1974, he changed his name to Guntur in order to accept government instruction. Liem won Central Java badminton championship at the age of 15. In November 1972, he participated in First Djakarta Badminton Open Tournament. It was his first international tournament. Three years later, he won Moenadi Cup, the Central Java Governor Cup. In 1973, he strengthened Central Java on Pekan Olahraga Nasional VIII and reached the final. After that in the same year, he won Kejuaraan Dunia Bulu Tangkis Piala Garuda (Garuda Cup Badminton World Championship) in Tegal. While in senior high school, in early 1974 he won national championship. In the same year he participated in All England for the first time. In 1976 and 1977 he became the runner-up. Liem won the prestigious All-England Men Singles Championships in 1978, 1979 and 1981 during a six-consecutive-year run to the finals (1976–1981) of what was then perhaps the world's most prestigious badminton tournament. He was the runner-up at the then triennial World Championships in both 1980 and 1983 to fellow Indonesians Rudy Hartono and Icuk Sugiarto respectively. He was a member of the Thomas Cup winning Indonesian teams of 1976, 1979, and 1984, playing both singles and doubles on the latter two occasions. He also played in the Thomas Cup in the years 1982 and 1986. He was a bronze medalist in the men's doubles together with Hariamanto Kartono at the 1985 IBF World Championships in Calgary. He retired from badminton in 1988, and now owns a health spa in Jakarta.